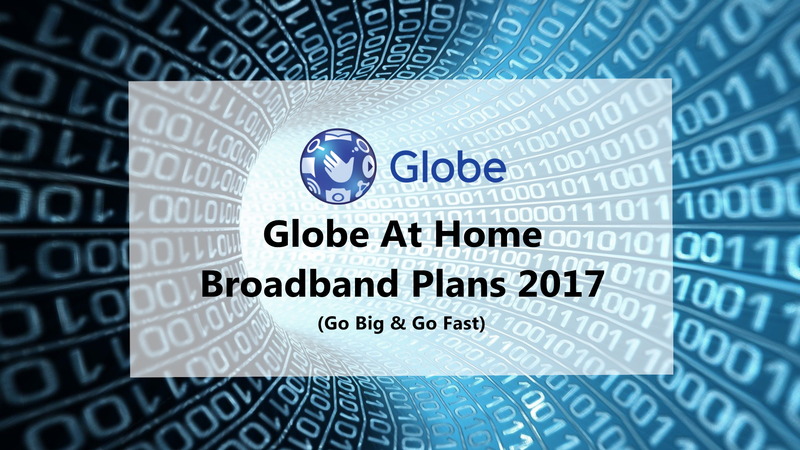 Globe recently launched the new Go Big and Go Fast broadband plans for 2017 with Globe At Home branding! The new 2017 plans are relatively cheaper when you compare them with speed and data allocation of the broadband plans last year! 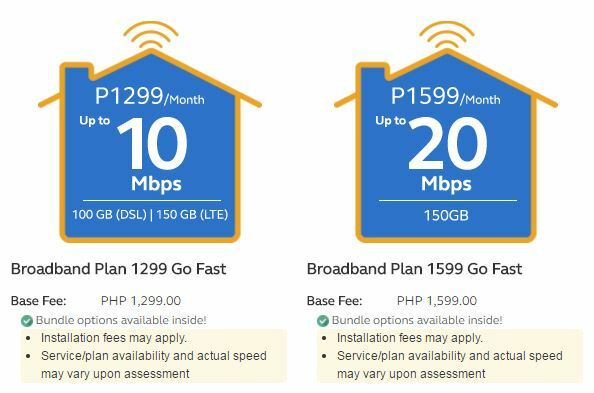 To know about the old 2016 plans, go here: Globe Home Broadband Plans 2016. 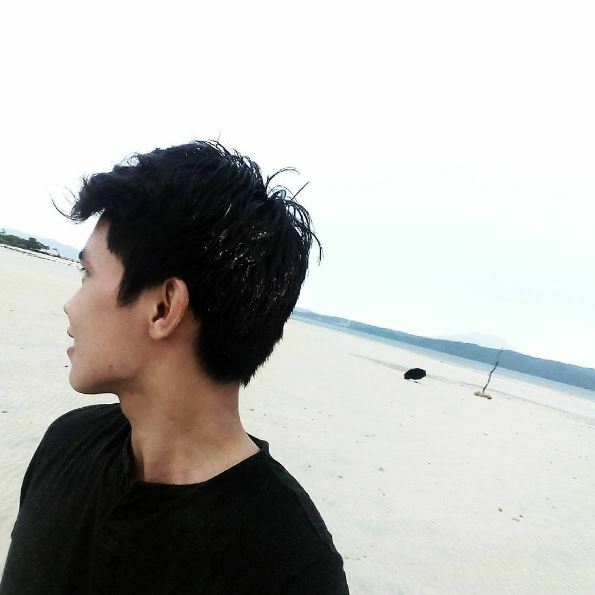 June 30. 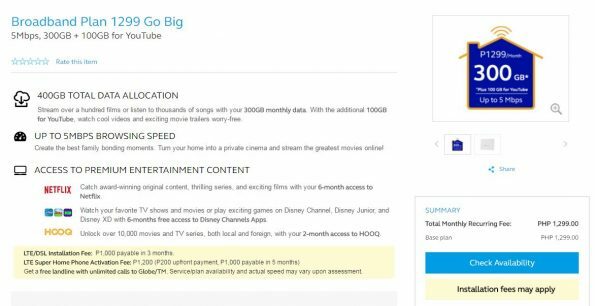 As reported by new subscribers of Go Fast (LTE), particularly, Plan 1299: The additional 100GB for 6 months is also valid for open data access (not for Youtube only as how it is marketed). June 21. Added Volume Boost Addons, Plan Activation and Billing Statements section. Globe At Home 2017 plans are subdivided into two groups, Go Big** and Go Fast. The naming itself implies that Go Big has bigger data allocation while the Go Fast groups offers higher speed but with lower data allocation in a said price range. Let’s take the new Plan 1299 as an example. You can clearly see the difference here that the Go Big plans are meant for home users (possibly also for small to medium size businesses) that needs bigger data allocation, while the Go Fast plans are built for users that wanted higher speed but don’t consume data too much. As always, as these are “Globe At Home” plans, they are really meant for “home” or personal use. For my opinion, Globe did it better this time (only for Go Big) compared on the launching of the absurd plans of 2015 and a bit improved (?) 2016 plans. The best deal here if you can shell out more money is the Broadband Plan 1899 Go Big as it offers 500GB of data + another 100GB for Youtube**. As it shows, this plan is only available for wired connection. Bundled entertainment content is retained but slightly modified w/ free 6-month access to Netflix and 2-month access for HOOQ. Disney joins the bundled content with 6-month free access to Disney channels apps. The most noticeable change here is that at Broadband Plan 1299, LTE offers more data at 150GB (50GB + 100GB Youtube)* compared to DSL’s 100GB. Well, I guess this is just to temporarily compensate the wrong move for the 2016 plans, throttling the LTE connections at a mere 256kbps when data allocation is consumed. Read more about throttling of the 2016 plans here. *Promo of additional 100GB data for LTE is only valid for 6 months. After 6 months, data allocation will return to 50GB (LTE). ** Available for DSL/Fiber connection only. When you are in the current 2016 LTE Plan 1299, there is really no good reason to upgrade to this one. Boradband Plan 1299 Go Fast is just the same with Plan 1299 of 2016. That is, if you will not consider the 6 months 100GB for Youtube promotion. 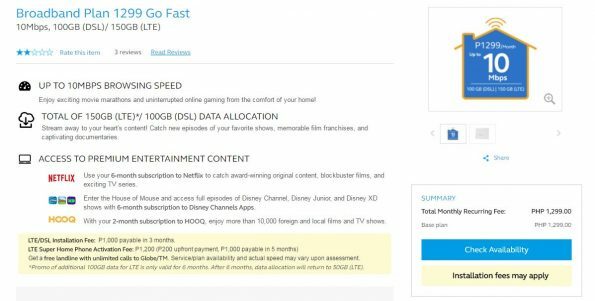 June 30 Update: As reported by new subscribers of Go Fast (LTE), particularly, Plan 1299: The additional 100GB for 6 months is also valid for open data access (not for Youtube only as how it is marketed). The older plans are still offered if you wanted to have a look. They don’t have any bundled free entertainment content and they are priced lower. By this move of Globe, they are modifying the Plan 1299 and above to compete with PLDT’s offerings. In my own opinion again, these plans should have higher speed too or just trash them since they won’t do any good for a consumer (I’m looking at you Plan 999 at 1mbps/20GB data). Details for Broadband Plan 1199. 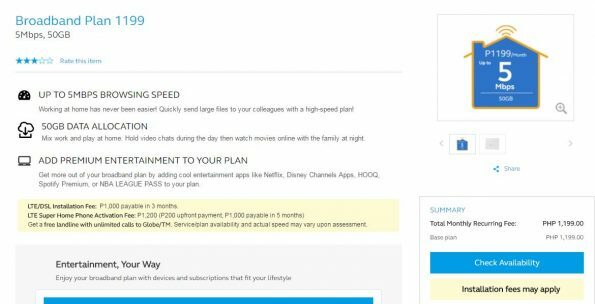 The Plan 1199 at 5mbps/50GB is still good, but why choose this if just adding 100 pesos per month will bring you to a far better plan? That brings-in Globe tactics to only offer this plan to areas with limited to no choice other than Globe for internet connectivity. It is better to have this internet connection than nothing, right? Minimum guaranteed speeds: 30% of subscribed speed (for Fiber); 256kbps (for DSL/ LTE). 256kbps speed applies upon full consumption of data allowance. All new Globe At Home plans will now throttle down to a speed of 256kbps when data allocations is fully consumed. Well, this change won’t matter too much for a regular home user, since both Go Big and Go Fast offers enough data for a typical home browsing use (not much for downloading stuffs). A huge hit will be for the Fiber and DSL customers. For the 2016 plans, DSL are throttled down to 30% of subscribed speed when data allocation is consumed, now they will suffer the same fate of LTE. 🙁 Speed will go back to normal/reset every first day of the month, regardless of your plan’s cut-off date. If you can’t wait any longer, this is where the Volume Boost Addons in the next section come into play. Read more about throttling of the 2016 plans here. 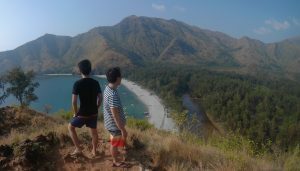 To check out the complete listing and availability in your area, check the online tool of Globe here.